It’s rather easy to understand why many expert realtors put the Harbor House South Condominium in Sarasota, Florida, on the hot list of properties that they recommend to home buyers and investors. Tremendous value is attached to its location at the Golden Gate Point peninsula, a twenty-two acre spread of land strategically situated near the city’s downtown and just beside the Ringling Causeway leading to nearby Florida beach resort communities. Harbour House South is part of a three-pronged Sarasota Florida real estate development project under the Harbor House banner. Fourteen units in a mid-rise built in 1965 make up the Harbor House South community where the residences have floor plans of between 1,200 square feet and 1,700 square feet. All sharing the 400 Golden Gate Point address, these cozy homes are designed with two bedrooms and two bathrooms. With the high potential for value appreciation in this condo, Harbor House South condos for sale are rare. The residences, notably, aren’t for rent or lease and are for the exclusive use of the homeowners. Past listings of condos for sale at Harbor House South, nonetheless, have averaged somewhere in the high $600s. 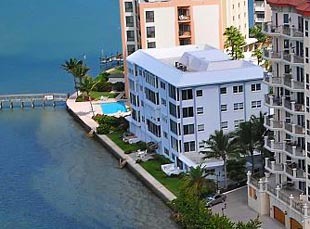 Such valuation indeed manifests the premium given to the Sarasota condos for sale on Golden Gate Point. Many of the older developments in the peninsula have been redeveloped into luxurious condominiums, commanding even higher values. It’s a no-brainer that many real estate developers would want a piece of the action in this area. Compared to the nearby downtown district, Golden Gate Point is quiet and serene, as well as affords some of the most magnificent views of Sarasota Bay. Fabulous bayside attractions, such as the Bayfront Park, provide further allure to the properties in the peninsula. This park, for one, offers many leisure opportunities at its Marina Jacks Trail looping around its perimeter with boat docks as well as plenty of space for other outdoor activities. Dining and entertainment venues are as easily accessible. The wide choices of restaurants in the area include Bijou Café, Ceviche Tapas, and Hyde Park Prime Steakhouse. 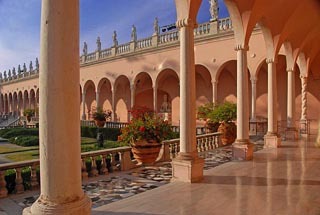 Venues which made Sarasota an important center arts and culture center of Florida are also nearby. Among these are the Florida Studio Theater, the Regal Cinemas Hollywood Stadium, the Golden Apple Dinner Theater, the Van Wezel, and the GWiz Museum. The Publix Supermarket and Whole Foods Market are but two of the shopping venues that can be accessed within minutes from the Harbor House South. A short drive, for instance, across the Ringling Bridge brings the delightful shops at the St. Armands Circle, in addition to leading to some of the finest beaches that made living in this side of Florida so highly coveted. Below are all of the current listings available at Harbor House South.